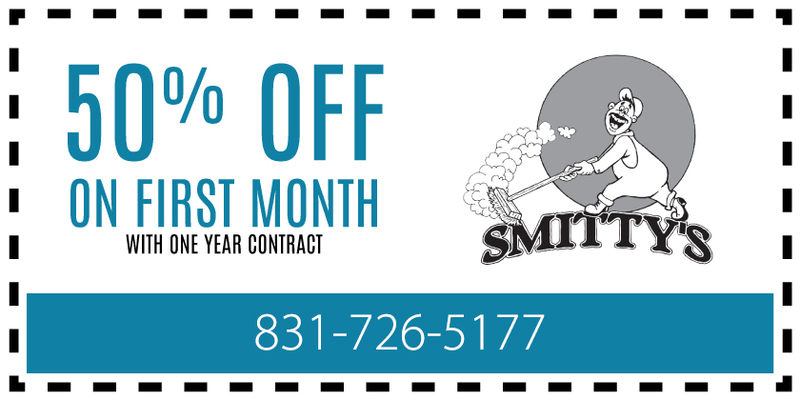 Whether you are looking for a janitorial services company to clean your individual office or to clean an entire building, you can trust the professionals at Smitty’s Janitorial Service. We use the right cleaning staff to make certain your job, large or small, is done right each and every time. We offer daily, weekly and monthly cleaning services in order to best meet your needs. Many cleaning companies simply empty trash and quickly dust some services, giving the initial impression that they cleaned well. They may spray chemicals in order to mask odors that would otherwise reveal the job they did was not adequate. At Smitty’s Janitorial Service, we clean areas that are not always inspected, making sure that we provide our customers with the level of service they should rightfully expect. Having your office professionally and regularly cleaned is important. Clean offices are healthier for people who work in them. When your office and building are cleaned well, workers may be less likely to become sick and miss work. This can help to increase the productivity of your workers while also helping you by cutting losses due to missed days from work because of illness. Wherever we are able to do so, we use green chemicals that are less harmful than other types. When regulations mandate otherwise, we will use the heavier-duty chemicals your facility requires. We will work with you to make certain that your service is individualized for your business. To learn more about the office cleaning services we offer and to schedule your consultation, we invite you to call us today. We provide janitorial services in Monterey County, San Benito County and Santa Cruz County. We are able to help you with your office cleaning needs no matter if it is a large or small project.